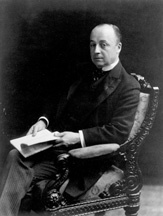 Dodds, Archie J. The Public Services of Philander Chase Knox. Ph.D. dissertation, University of Pittsburgh, 1950. Eitler, Anita Torres. Philander Chase Knox, First Attorney-General of Theodore Roosevelt, 1901-1904. Ph.D. dissertation, Catholic University of America, 1959. Knox, Philander C. Addresses of Philander C. Knox. Philadelphia: n.p., 1904. Mulhollan, Paige Elliott. Philander C. Knox and Dollar Diplomacy, 1909-1913. Ph.D. dissertation, University of Texas, 1966. U.S. Congress. Senators from Pennsylvania. Memorial Addresses Delivered in the Senate and House of Representatives of the United States in Memory of Philander C. Knox, Boies Penrose, William E. Crow, Late Senators from Pennsylvania. 67th Cong., 4th sess., 1922-1923. Washington: Government Printing Office, 1924.